2018 is the year of fabulous Cannes Film Festival debuts. We know Kangana Ranaut is all set to walk the red carpet this year for the first time and now there's a confirmation from Pakistani actress Mahira Khan too. While Kangana's ticket to Cannes was given a liquor brand, Mahira will attend the film festival in the French Riviera as a brand ambassador of cosmetics giant L'Oreal. The Verna star was named the first Pakistani brand ambassador for L'Oreal, reports news agency IANS. Mahira joins the L'Oreal family which already includes Aishwarya Rai Bachchan, Sonam Kapoor and Deepika Padukone from India. The trio will walk the red carpet from May 10 to May 15. Hollywood actresses such as Julianne Moore, Jane Fonda and Eva Longoria are also part of the L'Oreal family. Mahira Khan confirmed her Cannes debut with a throwback photo of Arnold Schwarzenegger at the 1977 Cannes Film Festival, where he presented the documentary Pumping Iron. "Let's do this! #Cannes2018," she wrote. Let's do this! #Cannes2018 Arnold Schwarzenegger at the 1977 Cannes Film Festival, where he presented the documentary "Pumping Iron." 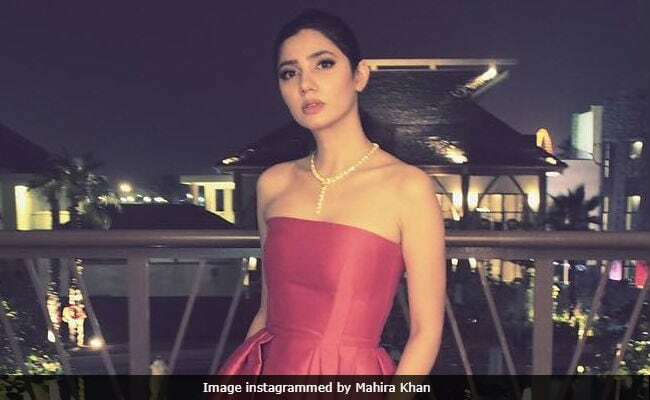 On Twitter, a Pakistan-based fashion designer praised Mahira as the choice to represent Pakistan on the Cannes red carpet and said: "Couldn't be more proud to have a sister who continues to open doors for future generations of Pakistan women. To make them believe they can achieve anything they want if they truly believe and love what they do," tweeted Hassaan Kahn. Mahira Khan became a household name in India after her show Humsafar, co-starring fawad Khan, aired here. Mahira has featured in several television shows and films in Pakistan and she made her Bollywood debut opposite Shah Rukh Khan in 2016 film Raees. She also featured in headlines recently after it was reported that she's dating Bollywood actor Ranbir Kapoor. Mahira Khan is currently filming Saat Din Mohabbat In and Maula Jatt 2.